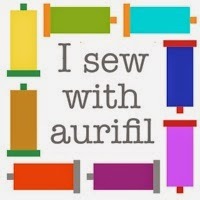 Quiltycat: The Blogger Quilt Festival is here! The Blogger Quilt Festival is here! 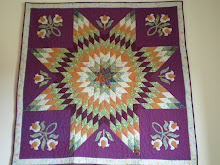 ...but I love the quilt colors and the design of the front and the back side. Thanks to Amy for organizing the festival and remember to visit and enjoy the many beautiful quilts from the whole world! 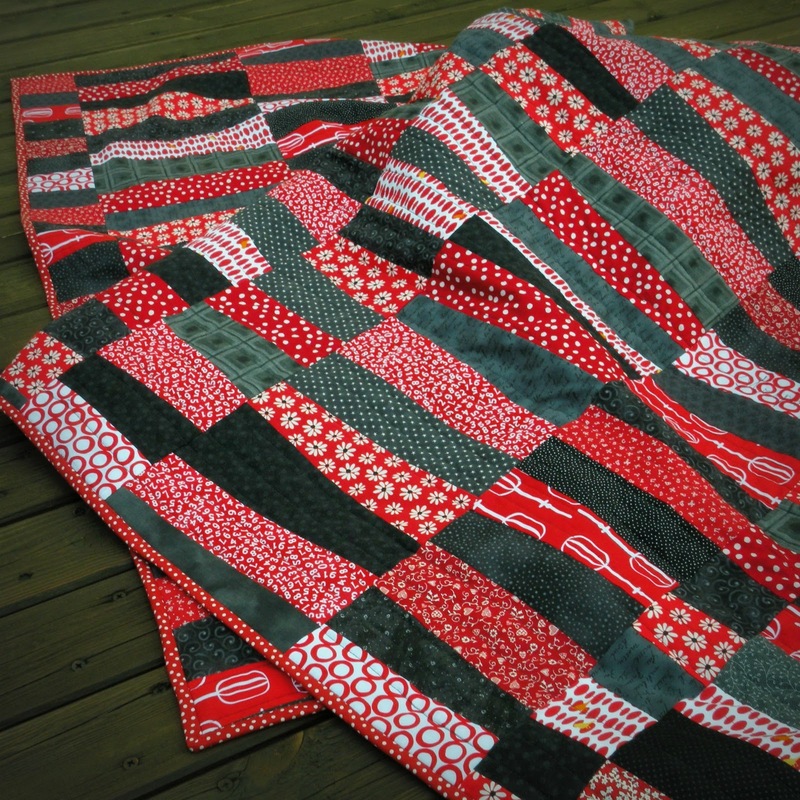 I'm a big red fan so I love this quilt! Hi! 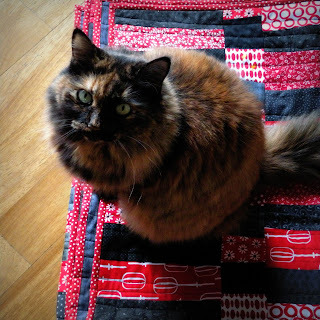 Your new quilt is really beautiful - as your sweet sewing assistant! I think that binding is very good! Yay all finished! It is beautiful! I think it looks great! Love your binding choice. curious - what is the 'beater' print? Wow! Good going with a brand new quilt, and such a pretty one too. Your feline inspector seems to be showing it off to the best advantage. Enjoy the festival! I love this quilt! I've been following your progress with it and I just love the finished quilt!! It's gorgeous!!! Really pretty, the binding and the back are great too. It's a fantastic quilt. Love the colours, the design and the cat on it ;). Your binding looks great! 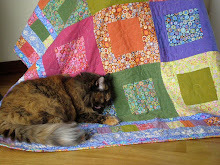 I love this quilt plus your cat is adorable! 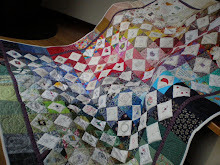 Love,love,love this quilt and your blog. Trudy looks like a wonderful assistant! 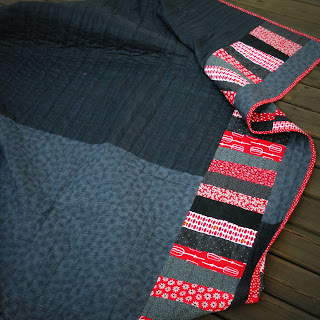 Love your playful red and black quilt, Nichi! Your quilt is gorgeous and your sweet kitty so dear! Well I think it turned out just lovely, but I know what you mean. We are always most critical of our own work. Your quilt reminds me of those beautiful quilts of old. It's simple and the colours pop. This is my favourite kind of quilt for sure! Greetings from Hungary! I really like your Quilted. I love the color. The stapling is very nice. love this quilt. i am such a sucker for polka dotted bindings and the red.black.white color scheme is so fun. great job - thanks for sharing! Fabulous quilt and I love the spotty binding!